Well, Father's Day is around the corner and I'm about as crafty as a foot as I was telling a friend last night. So, while the kids make him drawings, painting and macaroni necklaces, what do I get him? Paper Coterie to the rescue! 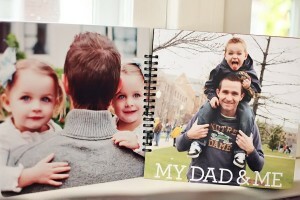 For those of you who have a million pictures and nowhere to put them, surprise him with a Father's Day notebook, complete with family photos on high-quality, bound, paper. 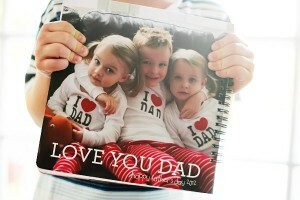 If you want to make your own personalized one for the dad in your life, click here and check it out! The code for the huge savings is DADSDAY. Paper Coterie has been having a lot of great sales lately, and I'm on some kind of list that tells me the codes, so you'll probably here from me again if they have a really good special, because damn. I think this one ends this weekend, so you might want to check it out soon if you are interested.